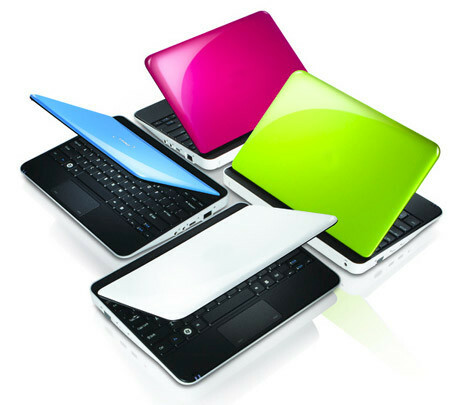 As you may have noticed, the state of computers and computer design is suddenly moving at a rapid clip, largely driven by the release of Windows 8, the move toward ever-thinner and lighter designs (read ultrabooks), and efforts to bring touch into the equation through a variety of tablets, convertibles, and all-in-ones. It's truly great to see the hardware industry innovating again, after a noticeable lull in anticipation of this new operating system. Since every Windows release tends bring with it new hardware requirements, optimizations, and design demands across the board, it ultimately has a positive impact on non-Windows operating systems, like Ubuntu and ubermix, as these new designs become excellent targets to develop against. Best of all, the increased competition generates ever-better hardware and downward price pressure, to the benefit of ubermix deployments around the globe. While I personally believe that 10 inches is an ideal size for a low-cost device, 10 inch screens look to be going the way of the dodo in the laptop form factor, due to Windows 8's requirement for 768 pixels in screen height (inexpensive screens are typically 1024x600). I've personally spoken with executives from both Acer and Asus and in both cases they said that they will only be offering 11.6 inch screens next year, but that they expect to hit last year's 10 inch price points. Early examples are the Acer AspireOne 725 (AMD Fusion) and 756 (Intel Celeron) models, and the Asus X201e (Intel Pentium, Celeron, or Corei3), with both manufacturers' pricing starting at around $280. The primary drawback of the current crop of devices is a combination of smaller batteries and more power hungry processors, which is resulting in maximum battery lives of about 5-ish hours on these models. But that won't likely be the case for long. In my conversations with Acer they have committed to a larger battery option for the education market, but that model has yet to appear. There will, quite likely, be a number of 10 inch tablets and convertibles, however. The first of these to appear has been the Acer W5, however current price points are awfully high to make these practical for large scale deployments. To add insult to injury, these smaller tablets are all based on Intel Clover Trail Atom processors, which are a slight iteration of last year's Cedar Trail design, and are therefore not very open-source friendly (see below). Hopefully, increased competition will drive prices for these devices down, and newer Atom processors will make them better targets for ubermix. While the Intel Atom processor has been the standard for netbooks from the beginning, 2013 will bring another awkward break in Atom processor availability as last year's Cedar Trail line is to be replaced by the new, significantly more powerful and open-source friendly Bay Trail line - but not until the second half of 2013. Manufacturing of Cedar Trail devices has slowed dramatically, with availability already dwindling to the few remaining models currently in the channel. Acer appears to still be manufacturing the D270 (even though it is no longer on their price list) and the Asus 1011cx looks to still be available for order, but it seems fairly obvious that this won't be the case much longer, as their 10 inch, 1024x600 displays do not meet the minimum requirements of Windows 8, and Microsoft is no longer offering Windows 7 Starter to OEMs. It's difficult to say if either will commit to Linux in a greater way (although Asus has demonstrated greater interest than Acer as of late, with both the 1011cx and the X201e available with either no-OS or Linux options), so it seems relatively safe to assume that Windows will continue to steer the ship in regard to manufacturing choices for both vendors. The net result of this is that availability of Atom-based devices will likely miss the crucial summer window for school districts looking to purchase for fall deployments. This is truly unfortunate, because Bay Trail Atom processors look to be incredibly well designed, and a significant improvement over the troublesome Cedar Trail. For starters, Bay Trail processors will be based on a new 22nm design process that will reduce size, heat, and power consumption. These benefits will enable Intel to double the number of cores, from 2 to 4, increase clock speed to 2.1+ GHz, and drive a powerful integrated graphics chip without a significant increase in power consumption. And that graphics chip will be an Intel HD4000 - the same hardware that is in Intel's current Core i line (as found in the most powerful ultrabooks). Intel's HD4000 is far more open-source friendly than Cedar Trail's closed, proprietary PowerVR (licensed from Imagination Technologies), and Intel has a whole team of engineers hard at work refining the Linux driver, which is already mainlined into the Linux kernel. Double the processing power, at least triple the graphics performance, all with extremely low power requirements makes for a potent combination that will lead to some of the longest lasting, most powerful low-cost netbooks and tablets to date. But sadly, not until the end of 2013. With the big Consumer Electronics Show (CES) right around the corner, expect to see a number of announcements of low cost, 11.6 inch devices from a variety of manufacturers and, if you are bound to a summer deployment schedule, make your device selection based on that news. We should also gain a clearer picture and timelines for Bay Trail, and perhaps discover some unexpected surprises along the way. Watch for touch devices to drop below the $500 price point as well, making them good targets for the next ubermix release (code name "honey badger"), which will be more touch-friendly than ever. We're in for some exciting times ahead! Jim - Jordan and I have been living in our tech cave and just realized the announcement made in early September by Asus to discontinue their Eee Pc line. Thanks for the update. Looking forward to honey badger and the future. Ditto - My eyes got kinda big over that announcement.